Buddhist Monks blessing the Family Tree, for Crafts, Culture and Community in Hua Hin. and our family's best effort to set up a family, social enterprise! Premruethai was born in Sri Saket province, north-eastern Thailand. She is native Kuy. Kuy is an ethnic group, which live around the Thai-Cambodian border, and in southern Laos. Kuy people have their own distinct culture, language, arts and crafts. From childhood, Premruethai was surrounded by local artisans, natural dyed silk, weaving, festivals and the friendly warmth of rural Thai life. Premruethai loves her roots and has worked for many years to support social, cultural and environmental work in and around her village, and further afield. She works with a network of Buddhist Monks and laypeople who also want to see a green and good Thailand. Peter was born in England. He has lived in Thailand for over 12 years, inspired by the culture, colour and diversity of this vibrant country. During this time, Peter has been an English teacher, regional Responsible Travel Coordinator for Intrepid Travel and helped to establish Thailand Community Based Tourism Institute. Peter worked alongside Thai colleagues for 10 years helping local communities around Thailand to set up community based tourism, cultural exchange programs to share special aspects of their lives with visitors. 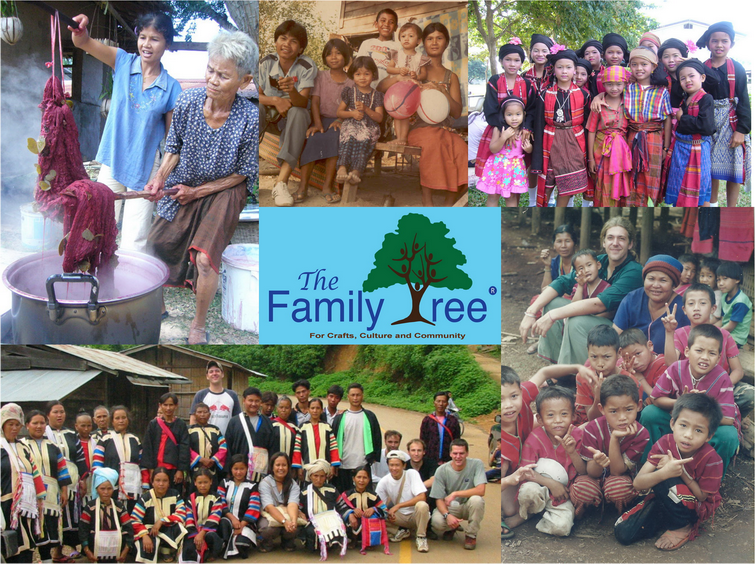 The roots of the Family Tree are a shared love and respect for Thailand's diverse and vibrant peoples and cultures. In 2006, Premruethai and Peter helped 30 women in her home village to set up ‘Tae Moh Hai’ or ‘Our Friends’ Hands' in local, Kuy language. 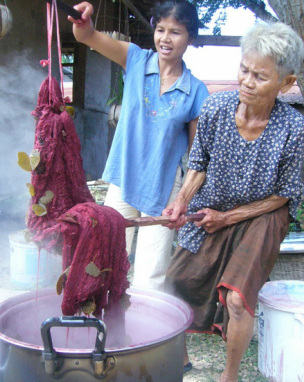 The group make natural dyed Thai silks, cut and stitch bags and clothing. Premruethai and Peter coordinated training and resources from the local government and Intrepid Travel to build the women’s skills in dying, cutting and sewing. 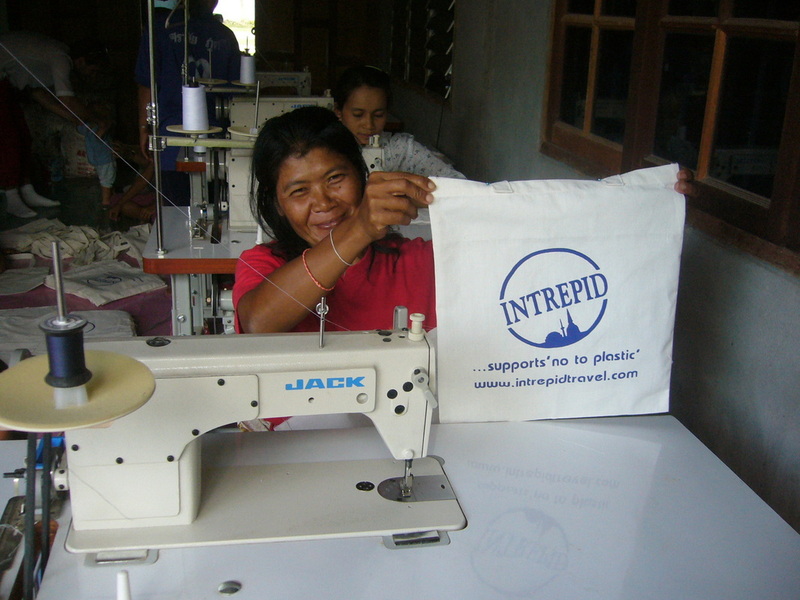 Intrepid agreed to give a cotton 'community bag' to each guest (read more here), creating regular, supplementary income for poor and indebted families. 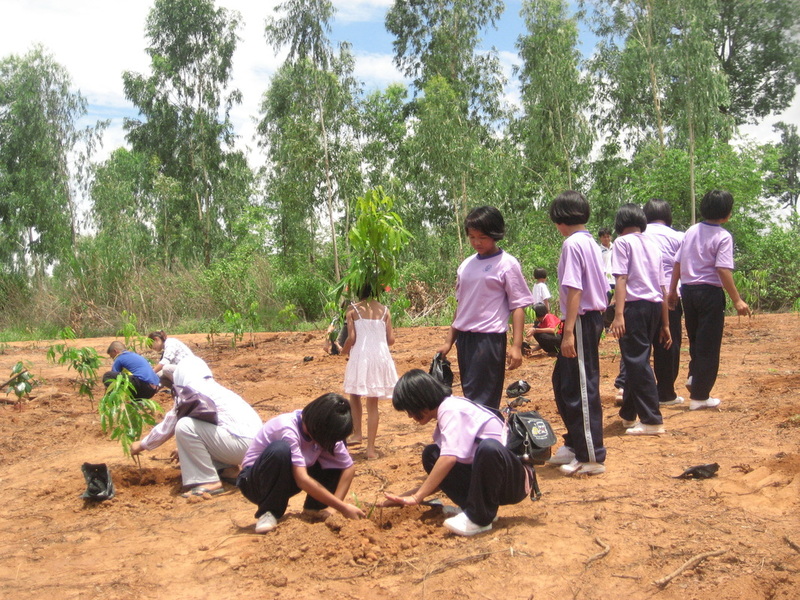 We worked with local Buddhist Monks to plant trees and organise youth activities. We also had two children, Louie and Rosie! Bags of smiles in Sri Saket, thanks to Intrepid Travel and guests! 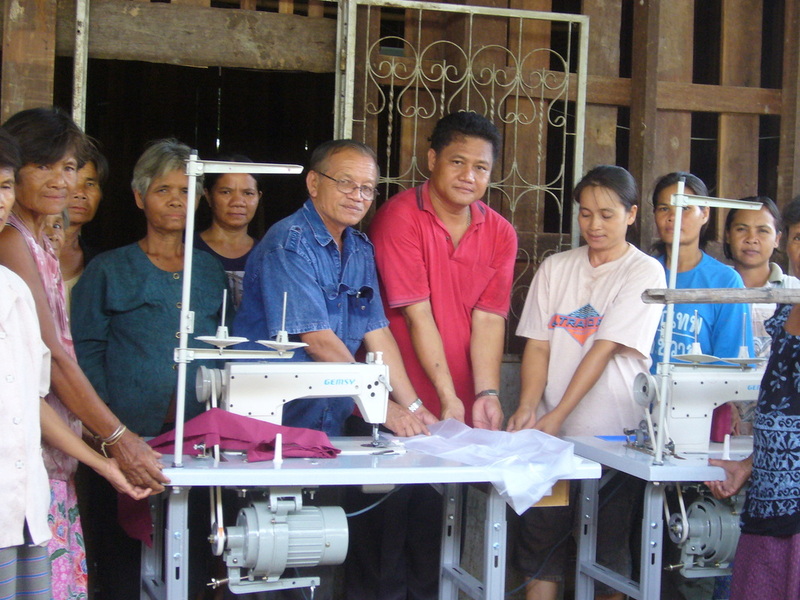 10 new sewing machines for Tae Moh Hai women's group. Training organised for Tae Moh Hai women's group in 2007, by the Social Development and Welfare Department of Thailand, coordinated by Premruethai. 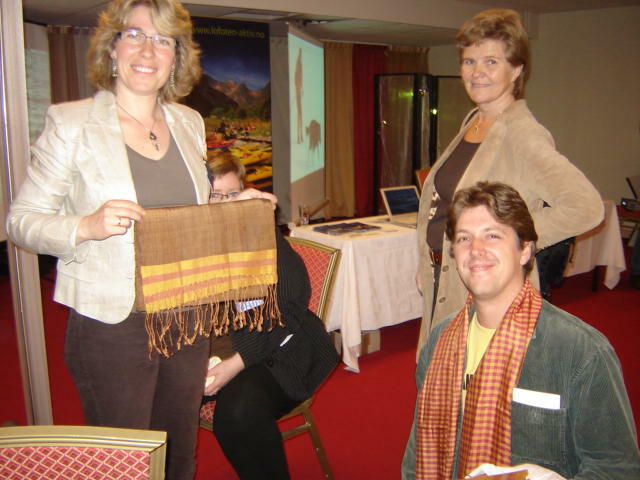 Peter tests the market with natural dyed silks during a coffee break at the World Ecotourism Conference, Oslo, Norway, 2007! 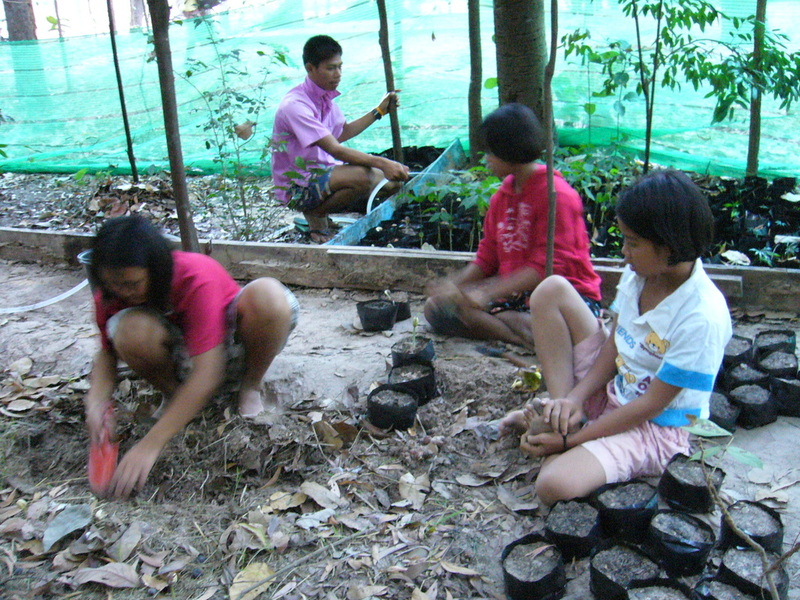 Early youth work in Ban Sawaii, 2006. 900 trees were planted. The Family Tree was the next big step. The children had got bigger and they didn't need to be parented 24 hours per day. It was time to move our work forward! We decided to open a shop which could support many different good causes around Thailand, including community groups, women's groups, people with special needs, and exceptional artists working hard to keep old traditions and new creativity alive! 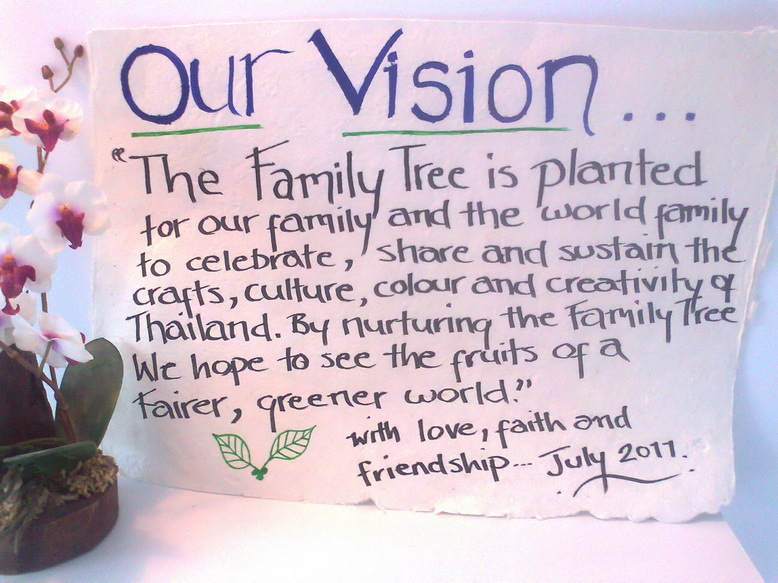 The family tree would be a tree planted by our family, as well as contribute towards sustaining Thai crafts and creativity for future generations. This is why we planted the Family Tree. The blue light used to be an extractor fan for noodle soup! We recycled! 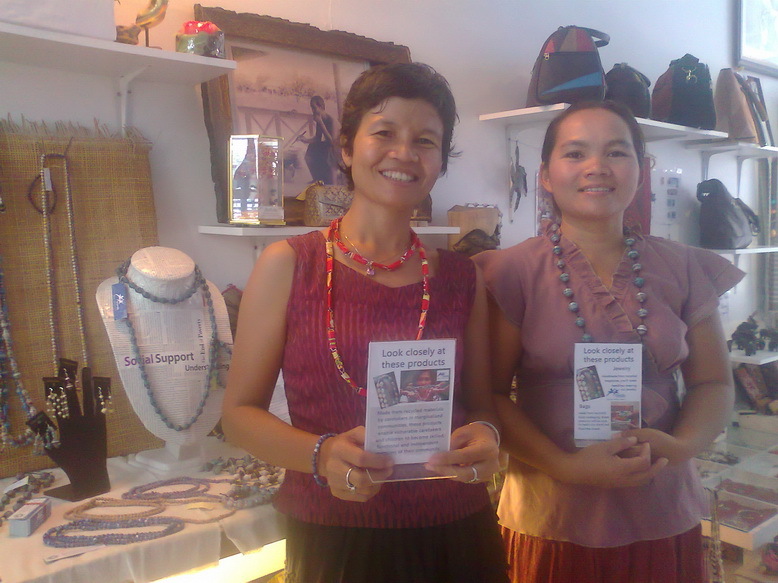 Presenting recycled paper jewelry which supports youth work in Thailand and across the region. The Family Tree prioritizes environmentally friendly products and producers. However, the Family Tree team also recognizes that moving village crafts towards strict environmental sustainability is a long-term process. To balance this, the team works very hard to plant and replenish natural resources, especially …. trees. 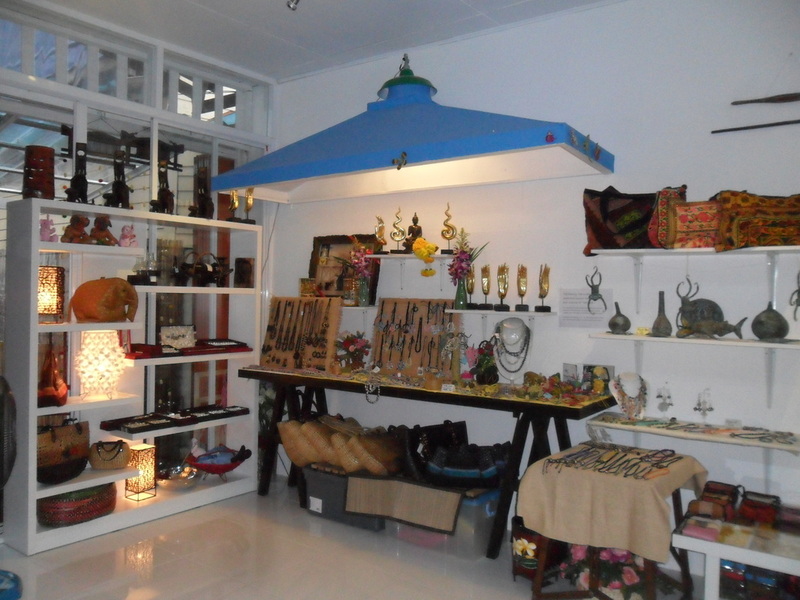 We warmly welcome you to visit the Family Tree, for Crafts, Culture and Community in Hua Hin, Thailand.